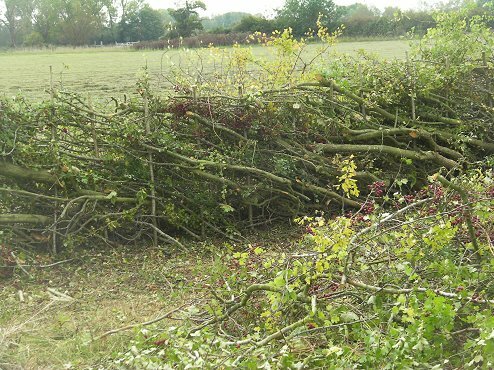 Hedge-laying, or layering as sometimes called, is a vital job carried out mostly in the winter months as the only real economic way of keeping a hedge stockproof, vermin proof and young and vigorous. Up until the second world war, it was the only means of keeping a hedge managed properly. The hand-tools of the day were typically a billhook, slasher and hammer. Today, the few of us that still ply the trade, tend to speed things up with a chainsaw! 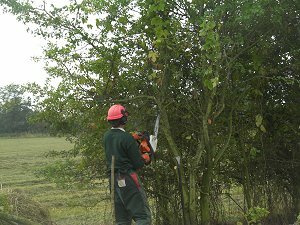 There are several techniques and styles, but essentially, the hedge layer is trying to re-establish the original line of the hedge by cutting out the old mature wood (and limbing that up for log production) and laying the narrower diameter trees along the direction of the hedge at a 30 -40 degree upward slant. 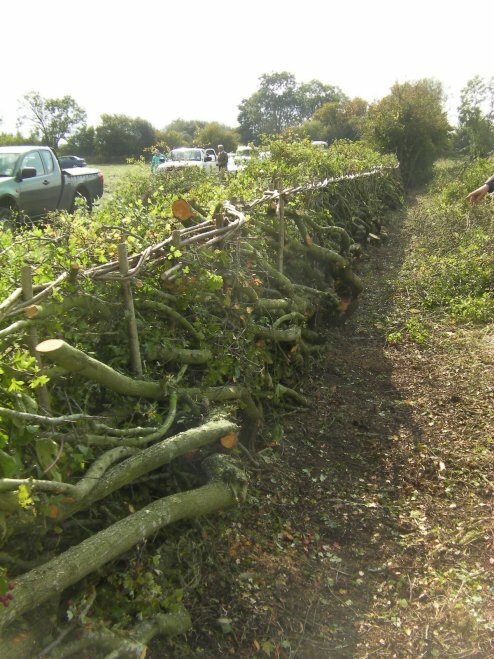 When laid, the laid trees(pleeches) develop new nodal growth along their stems which grow vertically and eventually tie the hedge together in a strong matrix. When done well, the hedge fulfills all of it's original purposes: prevents animals from passing through, allows tight little spaces ideal for small bird nest sites and make's the production of berries more prolific. This is typical of many hedges that populate our countryside. Typically the farmer will throw up a barbed wire fence to keep the animals in the field and the hedge continues to get more and more tangled with brambles, ingressed with elder and the hedge eventually start's to die. Hedging plants are grown at close spacings to keep the hedge dense and tight. To maintain this habit it is essential that the maturing plants are laid within 15 years of planting, otherwise they start to compete against eachother. 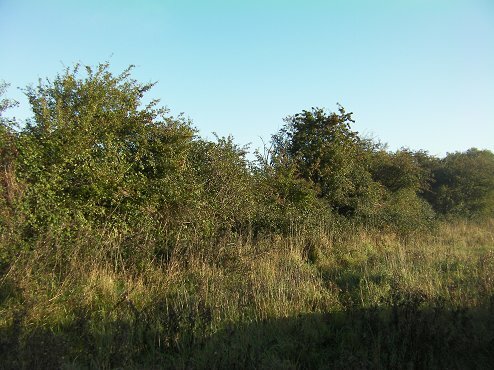 This image show's the hedge laid at an upwards angle, with plenty of brushwood tied in to create a fantastic habitat straight away for bird nesting sites. The upright poles are driven into the hedge to keep the young laid hedge secure from gale damage. These poles will eventually rot away, but by then there will be plenty of new verticle growth from the base of the hedge and from the laid stems that will tie the hedge together. Here you can see the same hedge with bindings wound around the poles. This is a technique really only done at competition level. You will also see it done in some of our countryside styled gardens. If you wouldlike your garden hedge to be reinvigourated like those that you see above, just give GRASSROOTS LANDSCAPING A CALL. It is a task best done between November and April. Prices vary but normally you will be expected to pay on a per metre basis. The hedge above (winter 2012) would be in the range of £18-£25/linear meter, depending on weather or not you ask us to take away the unused brushwood.